Homemade vegan tartar sauce is so easy to make, you will never have to search around or buy expensive vegan tartar sauce again! Best of all, this tartar sauce tastes better than any that you will buy at the store! made with a few simple ingredients. gluten free, dairy free, and egg free! made with either store bought mayo or my easy homemade vegan mayo recipe. Vegan Mayo – this is the base of the tartar sauce. You can find many vegan varieties at your local store or you can easily make your own in about 5 minutes! Relish – this is simply chopped up pickles. I prefer pickle relish, but you can also use sweet relish. If you don’t have relish, you can dice pickles very small. 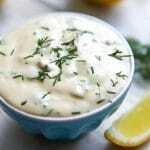 Lemon Juice – a small squeeze of fresh lemon juice is optional, yet adds a ton of flavor to the tartar sauce. You can also use bottled lemon juice if you don’t have fresh. Dill – fresh dill is optional but adds a lot to homemade tartar sauce and I highly recommend it! You can use dried dill too if you don’t have fresh. How do I make vegan tartar sauce? 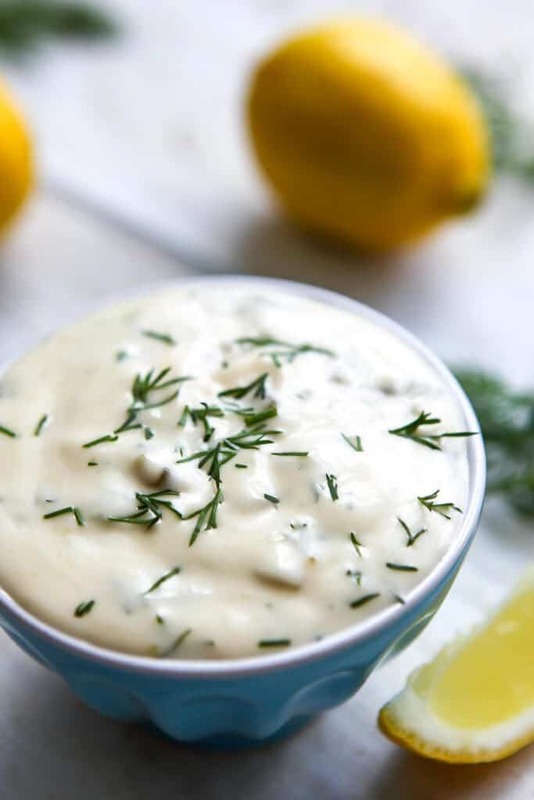 Mix together vegan mayo, relish, lemon juice, and dill in a small bowl. Stir until creamy then serve or store in the refrigerator for later. It’s seriously that easy! 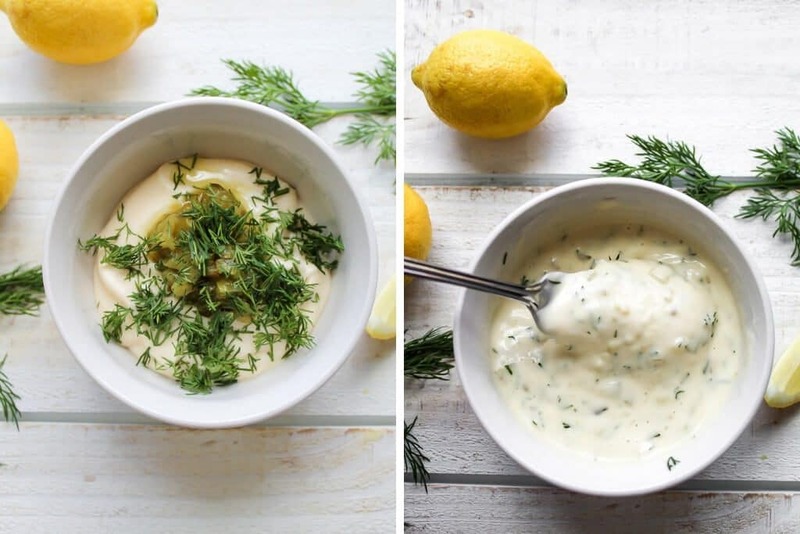 There is no need to buy tartar sauce again when you know how to whip it up yourself in minutes! What type of vegan mayo works the best for tartar sauce? I’ve made this tartar sauce with a variety of vegan mayonnaise and I haven’t noticed too much of a difference. Since it’s so easy to make your own vegan mayo, I usually just use my homemade version. What goes well with this tartar sauce? We love to use this tartar sauce on my Vegan Fish recipe. You can make it into a fish sandwich, fish and chips, or just breaded fish sticks and dip it into this sauce! It’s also delicious on sandwiches, wraps, or for dipping french fries or my Vegan Fried Chicken Popcorn Nuggets! Be sure to follow me on Instagram for daily vegan inspiration and links to all of my recipes. An easy homemade vegan tartar sauce. 1 tsp dill fresh chopped or dried. Add all of the ingredients to a small bowl. 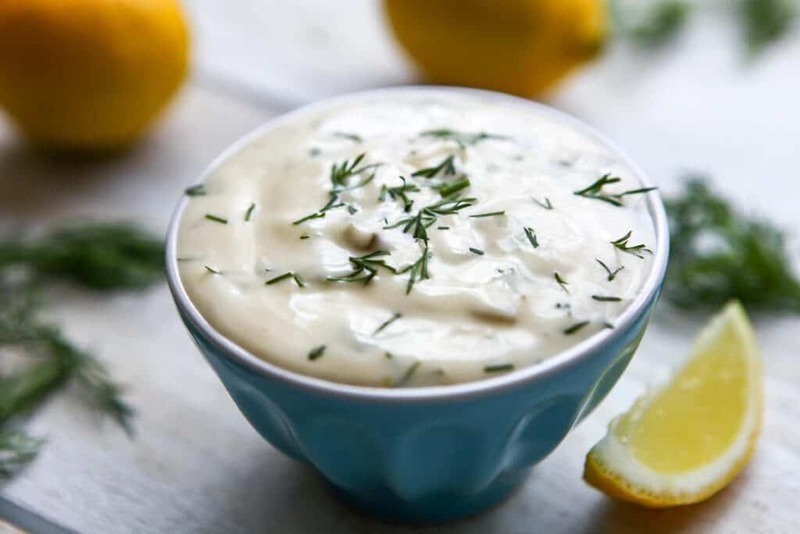 This homemade vegan tartar sauce will keep in the fridge for up to 5 days. Wow, I love tartar sauce and haven’t had it in forever. I just have to try this – yum!! 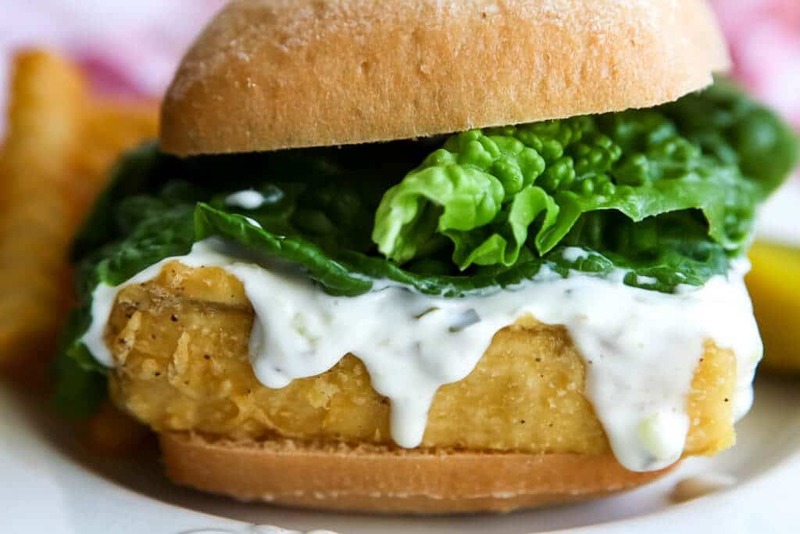 This tartar sauce on your fish sandwich was outstanding!